Published: Oct. 17, 2013 at 10:57 p.m.
Arizona Cardinals quarterback Carson Palmer's pass is intercepted by Seattle Seahawks cornerback Brandon Browner for 49 yards to the Cardinals 1-yard line. Published: Oct. 17, 2013 at 08:59 p.m.
Arizona Cardinals quarterback Carson Palmer's pass is intercepted by Seattle Seahawks safety Earl Thomas at the Seahawks' 30-yard line. 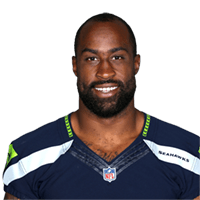 Published: Aug. 18, 2013 at 01:22 a.m.
Seattle Seahawks safety Kam Chancellor recovers the football after cornerback Brandon Browner strips Denver Broncos tight end Julius Thomas. Published: Nov. 5, 2012 at 06:20 a.m.
(5:36) (Shotgun) C.Ponder pass deep left intended for P.Harvin INTERCEPTED by B.Browner at SEA 47. B.Browner to SEA 47 for no gain (P.Harvin).